Panchase Trek 3 days 2 nights (A Short Family trek in Annapurna Region Nepal) takes you all the way to the Panchase peak(2517m). 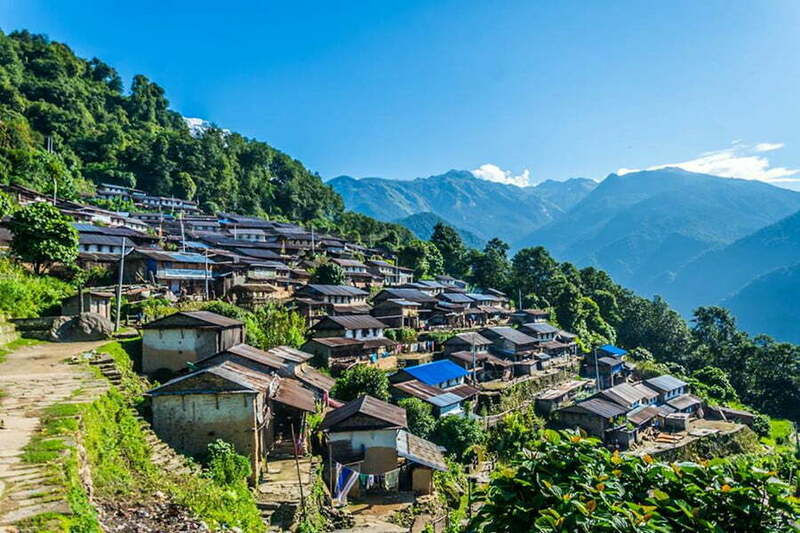 The trekking route passes through Dhampus village, the most photographed village. 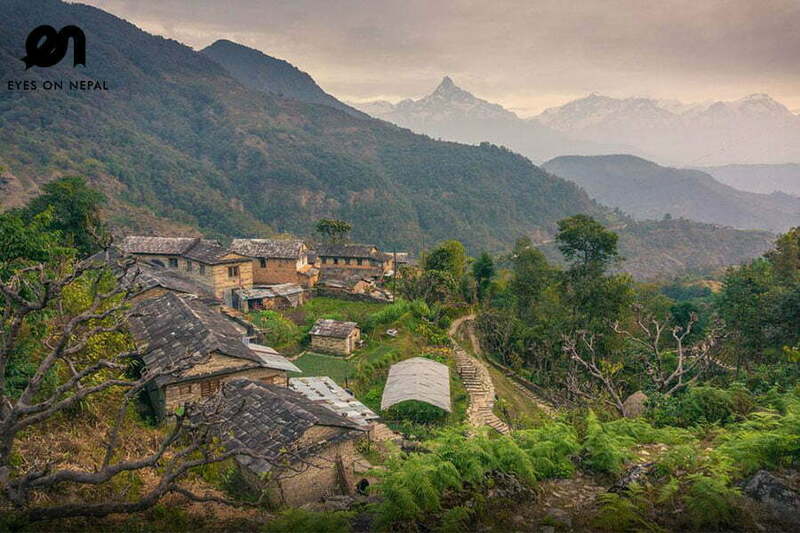 Although this is a short trek the trek offers mountain views, typical Nepali villages and traditional hospitality. 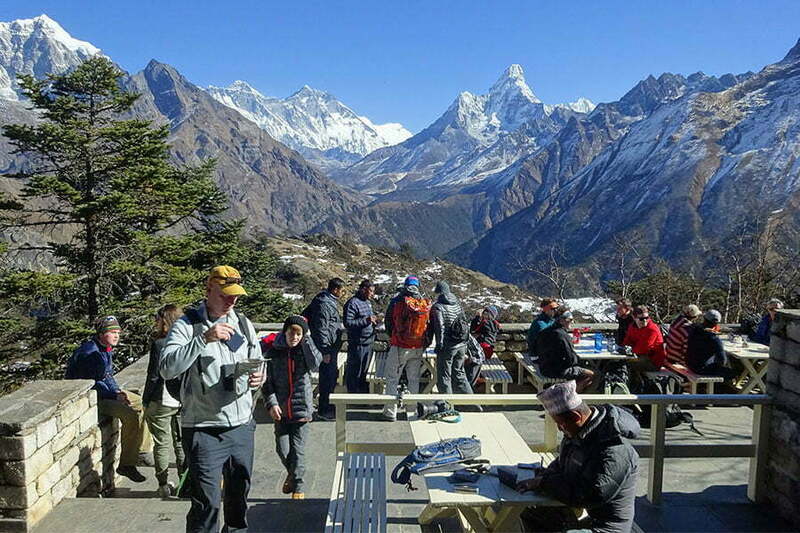 It is one of newest trekking routes near Pokhara and is less visited by tourists. You could also spot abundance of wild marijuana plants growing along the trail of Panchase Trek. 8.00am: Pick up from hotel, transfer to Baskot. NOTE: 30 minutes’s drive from Pokhara. 9.30am: Arrive in Dhital. An old village in this area. 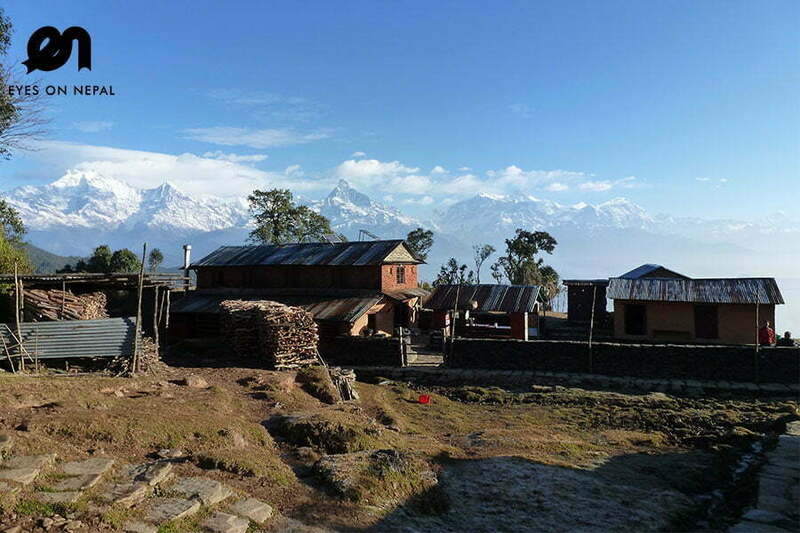 10.30am: Arrive in Hyangakot, we can see amazing view of Annapurna mountains and Manaslu range of mountains. We will have tea break here while you are enjoying the views. 12.30pm: We arrive in Dhampus. This is the most popular village in this short trek. We will have the lunch with good mountains views. 01.30pm: We continue the trek to Australian Camp. 03.30pm: Arrive in Australian Camp. Check in. Welcome drink. Rest & relax. 05.30pm: We will enjoy the sunset view with mountains. NOTE: Sunset from 5.30pm to 6.30pm. 07.00pm: Dinner at the hotel’s restaurant. After dinner, rest and relax. NOTE: From Baskot to Dhampus is uphill trek. 06.00am: Wake up for sunrise. 07.30am: Check out and we will continue the trek to Kande. NOTE: One hour downhill trek. 08.30am: Arrive in Kande. We continue our trek to Bhadaure. NOTE: Trekking from Kande to Bhadaure will take 2.5 hours’ trek in the jungle with mountains views. 11.00am: Arrive in Bhadaure. Lunch at Bhadaure. NOTE: Kande to Bhadaure is uphill trek. 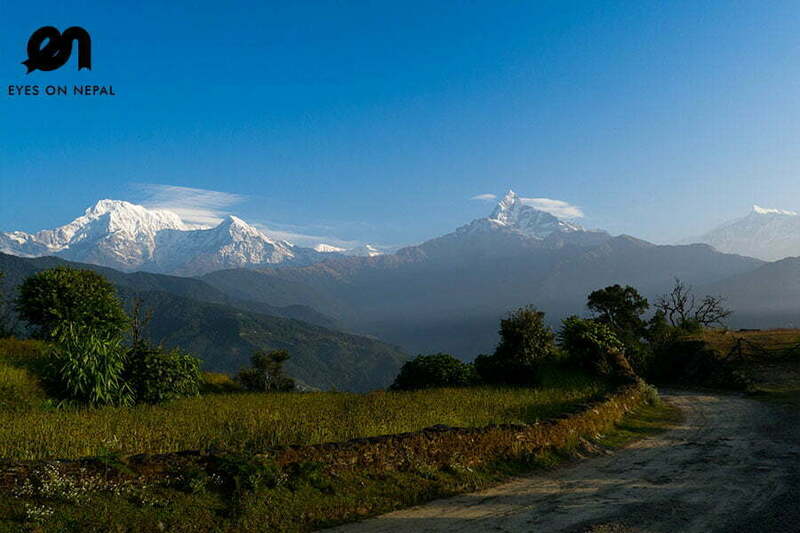 12.00pm: We continue the trek to Panchase Bhanjyang. 04.00pm: Check in homestay in Panchase Bhanjyang. NOTE: Uphill Trek. OPTIONAL: You can choose to view the sunset at Panchase Peak. Trekking from Panchse Bhanjyang to Panchase Peak is 1½ hour uphill trek. You will see the wildest panorama views of mountains in the western area: Dhaulagiri, Annapurna, Manaslu, Lamjung, Gorkha, Ganeshhilma and Lantangri region. OPTIONAL: You can choose to view the sunrise at 4.30am. You will need to start the trek to Panchase Peak at 4.30 am to catch the sunrise at 6 am. 08.00am: Depart from Panchase Bhanjyang to Sidame. NOTE: The trek will take 1.5 hour downhill. 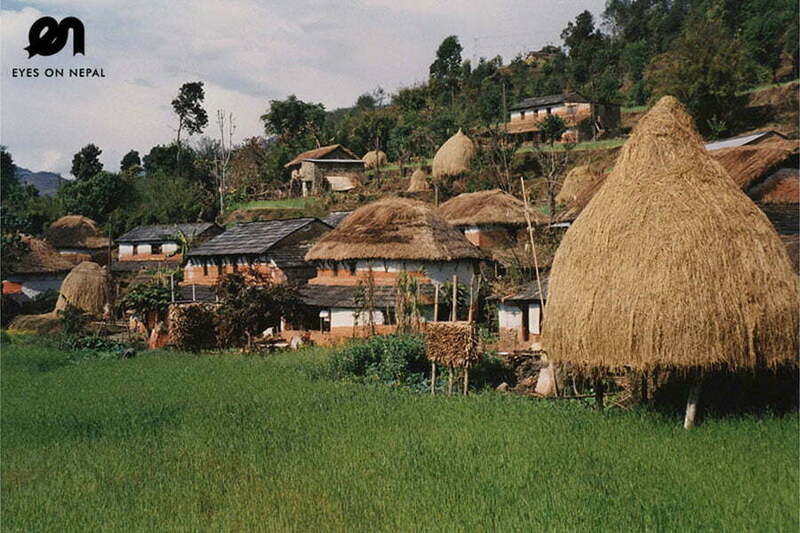 09.30am: Arrive in Sidame Gurung culture heritage village. Tea break for 15 minutes. We can see the Phewa Lake and hills. 9.45am: Continue the trek to Ghatichhinna. NOTE: The trek will take 1.5 hour. 11.45am: Arrive in Ghatichhinna. We will have lunch here. 01.00pm: We will transfer you to Pokhara by local bus or car. NOTE: Please let us know which option of transport you will choose. As local bus tour will be an unique experience. All accommodations in lodges/ tea houses during the treks. TIMS & Permits (USD 40) per person.